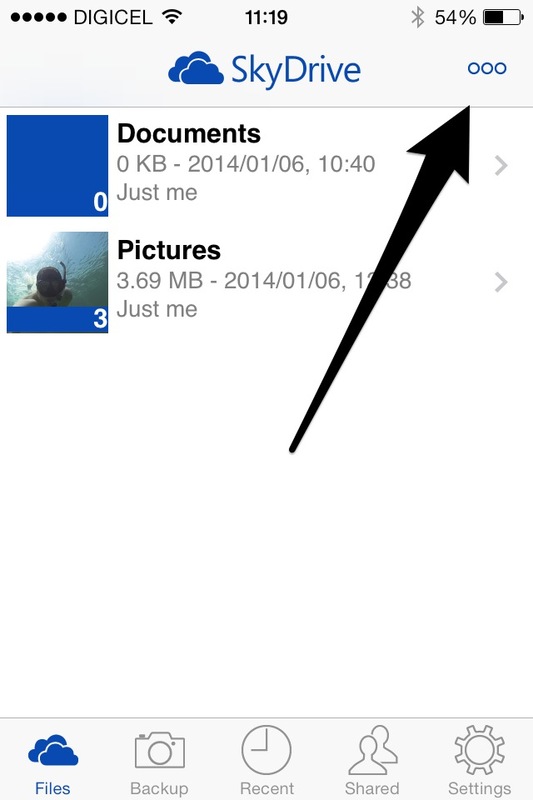 So I need to get pictures from my iPhone to my Windows 8.1 OS. Tried using the Bluetooth and that was not finding my phone and I really get annoyed trying to do that integration, should be simple but is not. 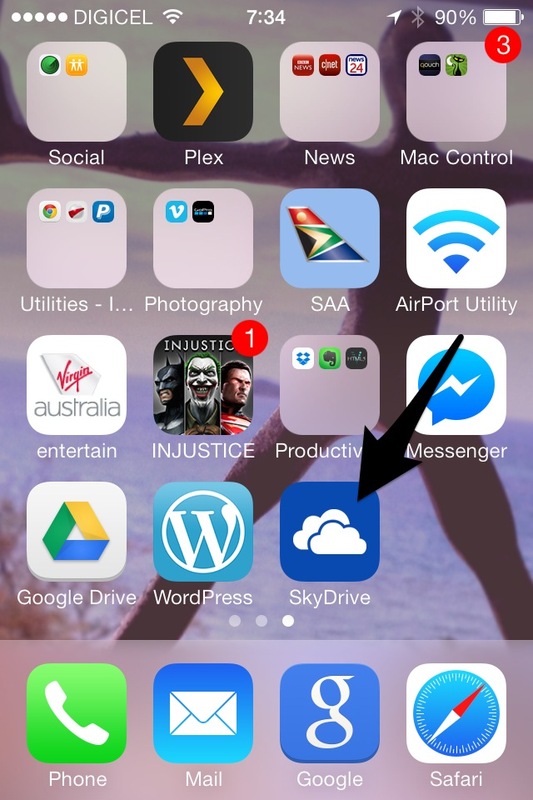 So hit a wall a little bit and need a solution, enter SkyDrive…. Using the same account I used in setting up my Windows machine (outlook.com) and added it to the login on the App, I have now created a link between my iPhone and Windows. There are a whole bunch of options that can be configured, the one I would recommend turning off if you do not have a lot of data/bandwidth like I do is the Camera Backup as this will save all your pictures you take automatically to the SkyDrive. 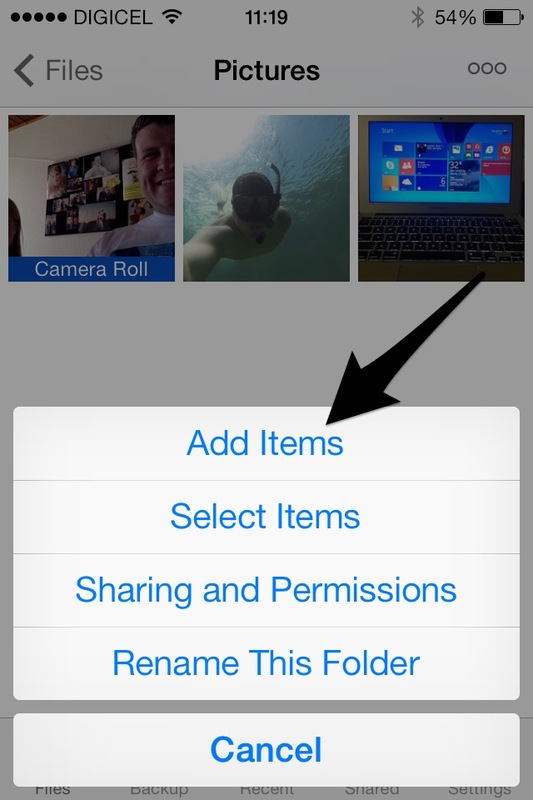 Think this is the easiest way as you can upload pictures any time and then access them. Side note: Whilst creating the pictures on my phone used an App called Skitch to add the arrows, created by Evernote and is pretty cool. Link below. This is my 1467 Friday!